It is important in life to always save where you can. Energy consumption in your home is one of the places you can save much money; if only you can reduce consumption. Born in 2004, Eccotemp Systems LLC is a company that began in March of 2006 with a need to fill that void that existed for energy consumption reduction. Since one of the greatest culprits of energy guzzling is your water heating system, this company sought to invent an affordable tankless water heating system for the whole house. This need was seen by the innovator, Mike Elrod; Eccotemp was his brain child. He realized that all the tankless water systems for whole households were too expensive and often times beyond the reach of many. He also noted that getting those systems was one thing, maintaining them with their high consumption rates was yet another. Mike decided to make the difference then. The owner of Eccotemp, Mike Elrod, saw a vacuum for affordable tankless water heaters and he decided to fill it. He used the most basic of business laws, supplying the high demand that existed for affordable whole house water heaters. The only catch was he did not use this opportunity as a cash cow but chose to offer these innovations at an affordable price. Located in Summerville of South Carolina, Eccotemp has engineered the production of energy efficient water heaters. 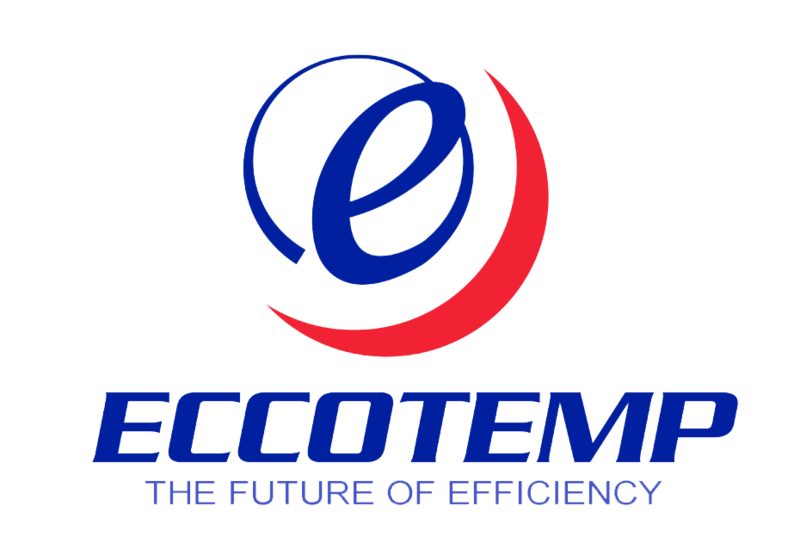 In fact, you will get to discover that Eccotemp has taken it upon itself to educate the masses on energy efficiency. It has made it its mission to promote the use of energy efficient water heating systems. The company does more than educate as it designs heating systems with the aim to conserve energy as well as abide with the highest standards possible of ecological awareness. When you are looking for a water heating system unit you want the assurance that it will last its said life as well as offer you good service. Looking at Eccotemp as a company, it was started to offer you not just good, but exceptional water heating systems in your home. The company has a solid foundation as it was begun by a founder who has going green as his greatest desire. Mike has innovation as a gift to the point of being awarded the innovator of the year in 2007 by the SC Business Journal. The company, under Mike’s leadership has manufactured industry leading products including the L5 portable water heating system. Using just 2 “D” cell batteries, this portable wonder is able to churn out hot water for your use wherever you are. It is the perfect camping buddy for outdoor use wherever you need hot water and might not have the power grid near you. If you are still unsure of Eccotemp’s standing then you can always rest assured in the assessment of the Better Business Bureaus (BBB). The BBB has rated this company with a B+ owing to its good customer complaint response as well as problem resolution. The reason that the company is not rated an A is simply because of a few customer complaints through BBB. Having been in existence for over nine years, the company has gained its market share by continually coming up with innovative products to fit different needs. It has recently launched the commercial heat pump and does not intend to stop there. The company desires to engineer better products including hybrid water heaters that will utilize both gas and electricity. The Eccotemp brand carries the tankless water heaters, which are the main product of this company. You will find 13 different water heating systems which serve the same purpose of water heating differently. A model like the 45-HI is an indoor tankless water heater that uses natural gas to function using its easy to use digital system. Similar to this model is the 45-H model whose only difference is that it is made for outdoor use. You can also find a model that is made for propane gas use. This is the 45HI-LP model. These heaters are made to function best in 3 bedroom, 2 bathroom houses. Eccotemp also has three electric water heater models in the market. These are the ET-14, the ET-22 and the ET-32 models. The variation they have is in their power outputs, with the ET-32 model providing the greatest power output among the three. The ET-32 model is powerful enough that you can use it in commercial establishments like eateries, salons and offices. The L-Series are water heaters specifically manufactured for the outdoor. The L5, which is one of the portable heaters, and quite a nifty invention at that, has been covered previously. The others are the L7 and L10 models which use the standard 2 “D” cell batteries for convenience away from the power grid. Whistle offering a portable source of hot water to the mobile person, you find the best features in the L10 model which even has an automated sensor to heat the water every time water flows. Safety is a standard Eccotemp is keen to uphold its products by and you find them fitted with safety features like auto-leak detectors and auto-shut off features for your benefit. Eccotemp produces the other brands to complement the production of water heaters. Z-flex, for example, specializes but is not limited to vents and drain pipes. The Flojet brand houses water pumps and strainers while the Easyheat brand has heating cables that are made hardy to protect your pipes from extreme cold. The Flow-Aide, true to its name is a cleaning kit that helps to rid you heating system of scale. In terms of convenience you have the Hugo battery backup unit that you can purchase to shield you from any power shortage. Close to a miracle power source, this backup power is a compact unit yet able to keep your heating system powered for up to a week. Last but not least is the Webstone brand which has the valve kit that is easily installed with proper color code and ease of use. New product, easy to install, no venting required. Automatic leak detection emergency shut down. Advanced temperature control for continuous even flow. Considering a 4 GMP, you’ll get a 55 degrees temp. rise. Compact Size, measures 6.25 x 15.75 x 15.75 inches and weights 23 lbs. Works on 133 AMPs, connects with standard 3/4″ NPT. Best price on the market, amazing quality/price ratio. No electricity needed, ignition based on 2 “D” cell batteries. Convenient dimensions: measures 4.5 x 11.5 x 14.5 weighs 13.8 lbs., shower head included. Considering a 1.5 GMP, you’ll get a 35 degrees temp. rise. Best selling portable water heater on the market, hundreds of satisfied customers recommend this. Eccotemp Systems LLC has spread its wings far and wide having a reach across North America, spreading over Europe and stretching out to the Middle East. This in effect enables this company to be retailed by over 2000 merchants through these areas. Eccotemp continues to grow through its innovative products and its desire to better your life. If you own an Eccotemp, I would love to read your comments. L5 Tankless Water Heater WOW!